We are a very friendly, supportive bunch, welcoming commanders of all ranks. 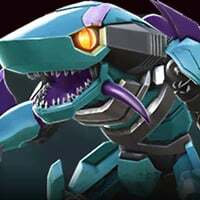 We are happy to help you grow, always sharing tips on the best and fastest ways to level up, gain 4* bots, achieve higher ranks, bot chips, and anything else! We have alliance members from all over the globe, which makes English the official language of our team. 3x bots with a ranking of 1000 or higher. Participation in Alliance Missions on Saturday and/or Sunday. If you are interested, find us by searching for "Seekers United" or using our tag [Sscrm]. You can also comment for your game id, we will invite you to the alliance.